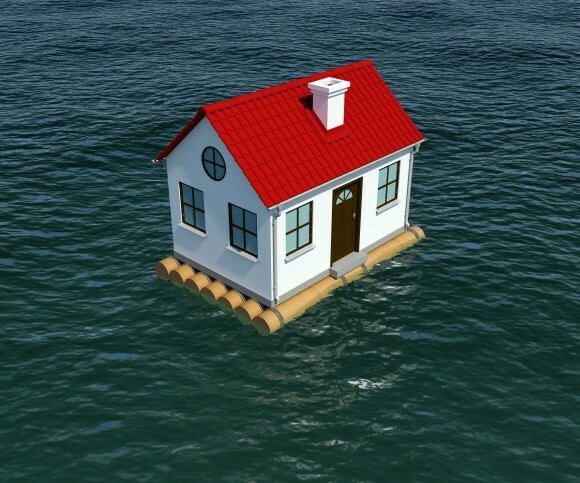 Since those changes happened, Congress later enacted a ‘stop-gap measure’ that helped delay some of the more expensive changes that occurred due to those reforms, also known as the Bigger-Waters Flood Insurance Reform Act. Despite the quick enactment, that doesn’t exactly repeal the changes; the increases are expected to be gradually phased over the next few years. While Florida homeowners potentially faced a big increase in their flood insurance premium, the newly passed measure is poised to potentially help Florida homeowners save money. The plan is expected to help homeowners potentially save money through encouraging them to purchase less insurance than what’s currently allowed under the federal program. This will essentially allow them to ensure their property against just the outstanding value of their current mortgage, the actual cash value of their property or even against the property’s replacement cost. The current federal program currently imposes limits of $250,000 for homes and $100,000 for personal properties at this time. The new bill will also allow insurance companies to provide their customers various deductible amounts, which will subsequently give homeowners more options for insurance coverage. These coverage options include living expenses, contents coverage, coverage for secondary structures and more. Before any of these plan can take hold, they have to eventually be approved by the Office of Insurance Regulation. When observing the market, Florida is already home to several private flood insurance companies, though it’s just a handful of companies at this time. Some insurance companies who exclusively deal with homeowners insurance, such as Tampa’s Homeowners Choice Property And Casualty Insurance Company Inc., started offering flood insurance coverage as a part of their homeowners insurance policies. It’s the National Flood Insurance Program, however, who writes the most flood insurance policies in Florida today. Over 37 percent of the flood insurance policies they write originate in Florida, which surprisingly enough makes the state a ‘net loser’ in the federal program. Only $3.7 billion in insurance coverage has been paid to residents of Florida. Despite the prospect of having choices on the Florida flood insurance market, many households are still recovering from the increases that occurred over the past year. It was said that about 268 homeowners in Florida were subject to the increases, particularly out of the 2 million federally based flood policies written on a yearly basis. Under that aforementioned revised act, about 50,000 homeowners within the state of Florida with first or second homes will see their insurance rates increase about 25 percent this year. That increase will occur until they see rates appropriate to covering any potential risks of flooding in their area. That doesn’t mean that insured homes will end up keeping their policies. It’s expected that about 100,000 homes will end up losing their insurance subsidies if sold. Florida homeowners shouldn’t feel too pressured or too insecure about their flood insurance policies, despite the news of increases and a ‘new face’ of the flood insurance market. Even though decided change is occurring now, there’s still plenty of options for Florida homeowners who need flood insurance. Without taking the recent news into account, over 100 nationwide private insurance companies currently offer federal flood insurance. The new measures, however, will actually help Florida homeowners save more money, since they don’t have to worry about paying premiums for flood insurance that’s affected by federally enacted changes. Florida homeowners should keep an eye on the flood insurance market, especially if they need a policy, over the next year to see the changes eventually roll out.